As we know that objects are immutable, whenever you want to modify a String, you must either copy it into a StringBuffer or StringBuilder, or use a String method that constructs a new copy of the string with your modifications complete. A sampling of these methods are described in this post. In this post, we will discuss below methods for modifying a String objects. We can extract a substring using substring( ) methods. There are two forms of substring() methods. substring(int beginIndex) - Returns a string that is a substring of this string. 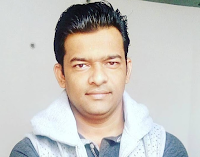 substring(int beginIndex, int endIndex) - Returns a string that is a substring of this string. We can concatenate two strings using concat( ). The concat() method concatenates the specified string to the end of this string. This method creates a new object that contains the invoking string with the contents of str appended to the end. concat( ) performs the same function as +. The trim( ) method is quite useful when you process user commands. For example, the following program prompts the user for the name of a state and then displays that state’s capital. It uses trim( ) to remove any leading or trailing whitespace that may have inadvertently been entered by the user. Example 2: This is complete example to demonstrate the usage of trim() method.